As a college, the staff and faculty at West Virginia Junior College – Bridgeport have the good fortune of working alongside students every day as they prepare for their chosen careers. Sometimes, however, there is a student, or group of students, that stand out among the other students and are deemed “unforgettable”. Most recently, this group of students became known as the “Band of Brothers,” a title coined by Campus President Sharron Stephens. This group of Information Technology students, which bonded from the start, has made a big impact on our campus. They were at the college daily for class, but you would also see them around putting in “extra time”. 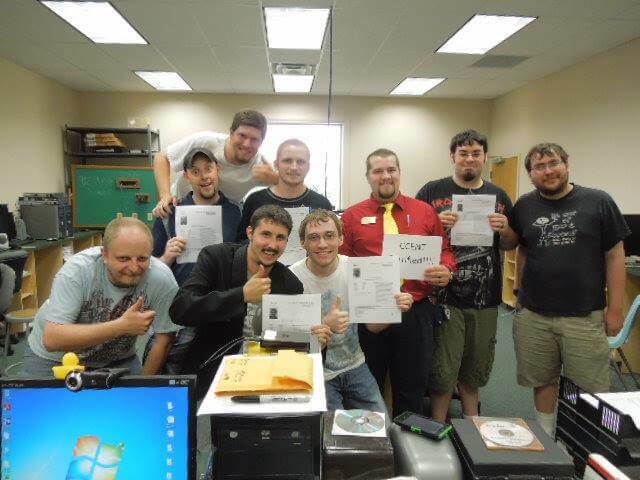 Whether that time consisted of studying for national certification exams, assisting with IT maintenance in the building, or offering their services to the community to repair computers, these students were on campus constantly and always working to become better. 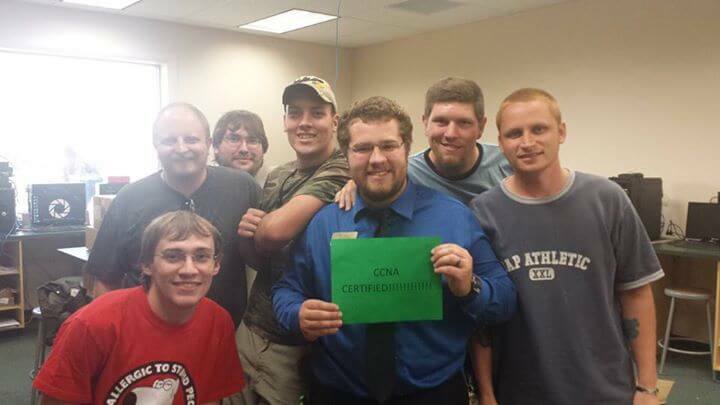 For this group of young men, Information Technology is a way of life. While this group was a close one on its own, no one helped to bond them together more than Andrew Gatlin. It was not just the education that Andrew enjoyed. “Getting to know all the staff and my Band of Brothers was the best part,” said Gatlin. This group of young men took Andrew, who was the least experienced of the group, under their collective wing…and how he soared! It was not just the Band of Brothers that made an impact on Andrew’s life. “Mr. (Aaron) Jones was my biggest supporter and he has become a big part of my life. I don’t think I could ever thank him enough for everything he has done for me.” Mr. Jones is the Department Coordinator for the Information Technology Program and worked with Andrew closely during his time here. 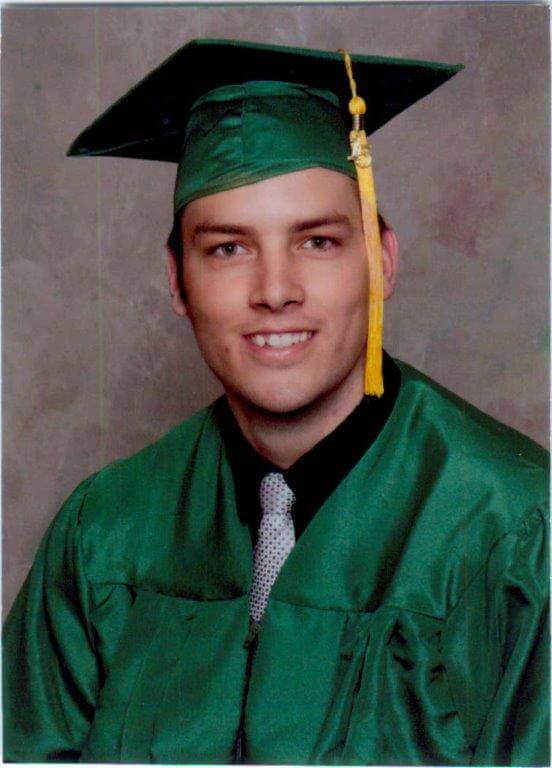 Through all the hard work and perseverance Andrew put forth alongside Mr. Jones and his Band of Brothers, he graduated with his Associate Degree in Information Technology along with being nationally certified in CCENT (Cisco Certified Entry Network Technician). He was also recognized by the school with the award for Significant Student Achievement, given to one student every year that went above and beyond to become successful. The last of the Band of Brothers graduated last weekend; a group that will, undoubtedly, live on in the hearts, minds, and halls of West Virginia Junior College – Bridgeport. Most have moved on to the career phase of their lives. As for Andrew, he is now employed by Hart Office Solutions in Clarksburg and loves putting his skills in Information Technology to use every day in his new career. To start on the path to your Great Career and Great Life, request information now!